Secret Santa 2018 is the time to help horses in need! Browse through our rescues and choose gifts for the horses from their wish lists. You can help more than one of our rescue organizations and more than one horse...the more the merrier, but even one gift - either a financial contribution or the purchase of an item - makes a huge difference to a rescued horse! 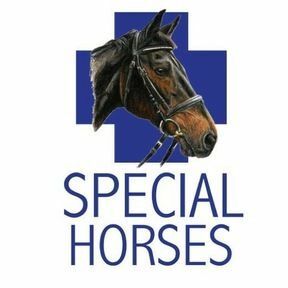 Special Horses, Inc. is a 501(c)(3) 2015, 2016 and 2017 Great NonProfit organization and a GuideStar Platinum Participant. Since 2009, our mission has been to provide outstanding registered 501(c)(3) equine rescue organizations with fundraising opportunities, marketing assistance, educational opportunities, and community outreach. The organizations we support are dedicated to rescuing, rehabilitating, and rehoming horses in need, and are carefully screened and selected based on their trustworthy reputation, dedication, and excellent service to the animals in their care. Rescuing horses leaves these organizations little time to plan, organize, and execute fundraisers and outreach, and it is the mission of Special Horses to help them help equines in need.